Over the last couple of months I've become intrigued about living a more minimalist lifestyle with less emphasis on stuff and buying things and more emphasis on paring back to just what I need and being more creative. Now before we go any further, let me just say that it's still early days for me and I still have a LONG way to go before I could even be considered a minimalist, but I've started and that's a step in the right direction. So how does this connect to DIY deodorant?! Well, as part of my quest to minimise my life I looked at all the beauty and body products that I have and attempted to pair them back a bit - and I have actually managed to significantly decrease my collection and remove items that I just don't need or even use. I love the idea of making your own products and so as I've been working through all the products that I have currently, I decided that once they ran out I'd like to try my hand at creating some of my own purpose made products. I felt that would likely work out cheaper, reduce waste over time and allow me to fully customise my makes to meet my needs. One of the first things on my list of DIY projects was deodorant as honestly it looked so easy that even a complete novice, such as I, couldn't mess it up. 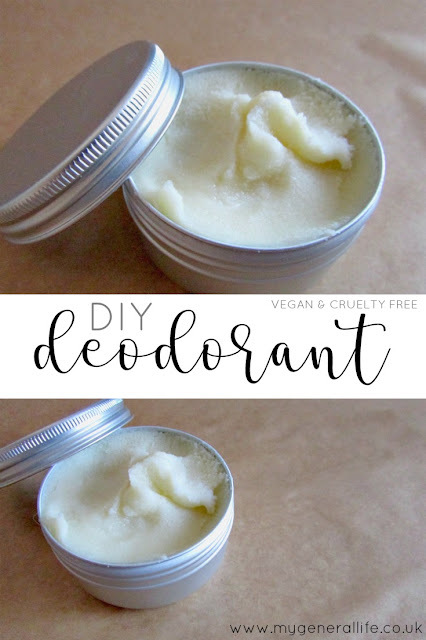 I've always used conventional deodorants and antiperspirants without giving it a second thought, however, I like the idea of using something more natural without any added chemicals that I can easily whip up in my kitchen. And let me tell you I really wasn't disappointed. 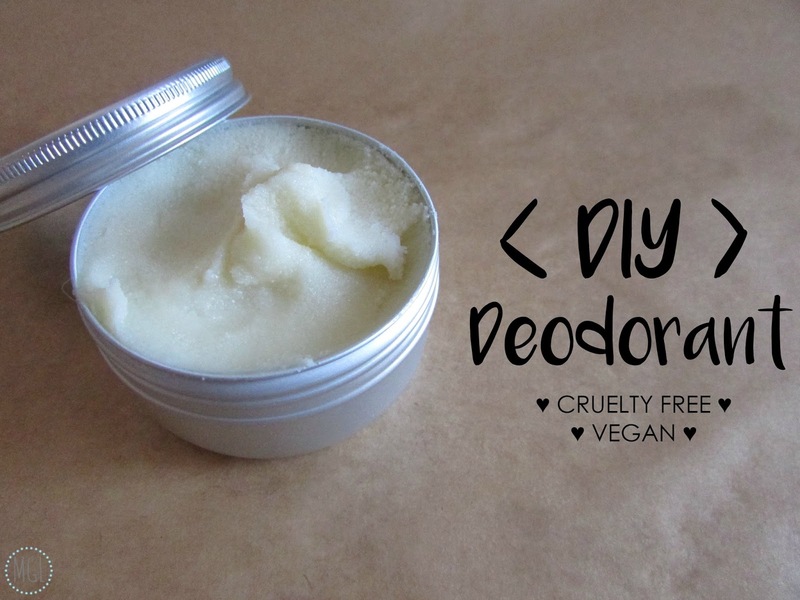 Here's how I'm making my deodorant currently (that's not to say it won't change over time as I learn more about making my own products), and then I'll share with you some of the pros and cons that I've found of using it. I've done the recipe in parts as this basically allows you to make as much (or as little) as you like, an example of this ratio would be 2tbps coconut oil to 1tbsp each of bicarb and cornflour - you get me? 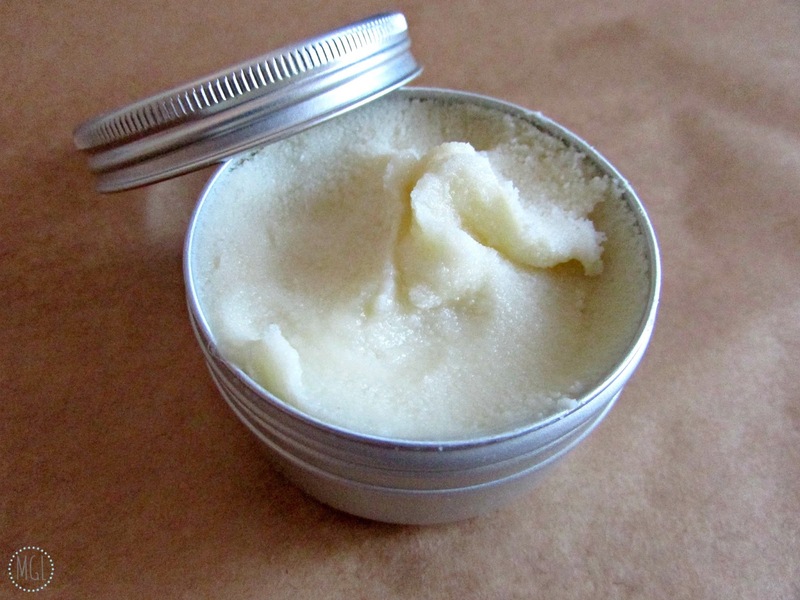 ♥ Melt the coconut oil either in a double boiler or in the microwave until fully liquid. ♥ Add in the bicarb and corn flour and mix thoroughly. ♥ Add in the essential oils and give it another thorough mix to distribute them. ♥ Place in a clean container (I use a little metal pan) and leave for a few hours to set. See, I told you it was easy - I'd say almost foolproof! Now let's get to the pros and cons. - In my eyes, this deodorant is far better that any shop bought deodorant I've tried. It doesn't stop me sweating, it's not intended to stop me sweating as sweating is a natural occurance. It's main function is to eliminate the odour which it definitely does. On every occasion I have worn this deodorant I have not experienced any unpleasant body odour, even after doing exercise (NOTE: when I say exercise I mean aerial hoop and yoga, not intense cardio so I can't comment on how you (or I) would smell after a super sweaty HIIT workout). - The coconut oil makes for a moisurising base which is great as my skin can get quite dry under my arms. 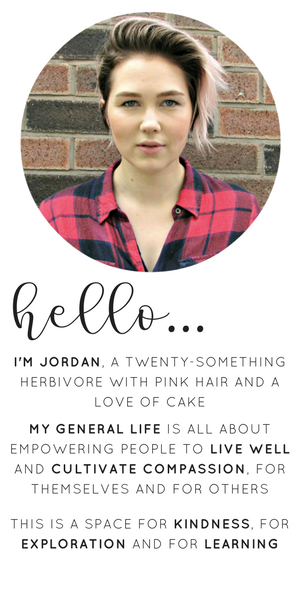 - I've not personally experienced any skin irritation from the bicarbonate of soda used in the deodorant. I do have quite sensitive skin that is easily irritated so this is a definite win. - The application of the deodorant is more messy that using a conventional spray or roll on. It does involve getting your finger in there and you do have to take some care when rubbing it in a bits can crumble off in this process. Although I don't see why the recipe couldn't be adapted to make it into a stick deodorant - I think adding a tbsp or two of Candelilla wax should do the trick. I may well actually try this in the future if I can find any stick deodorant moulds. - This is not so much a con, more of a pointer - it's worth waiting a few minutes for the coconut oil to absorb into your skin before getting dressed as I have noticed that the oil has left marks on my clothing. Overall I'm so chuffed with how this worked out and the results I've had from using it. Let me tell you that Pinterest is a world of inspiration, so if you fancied checking out other recipes that would definitely be my first port of call.